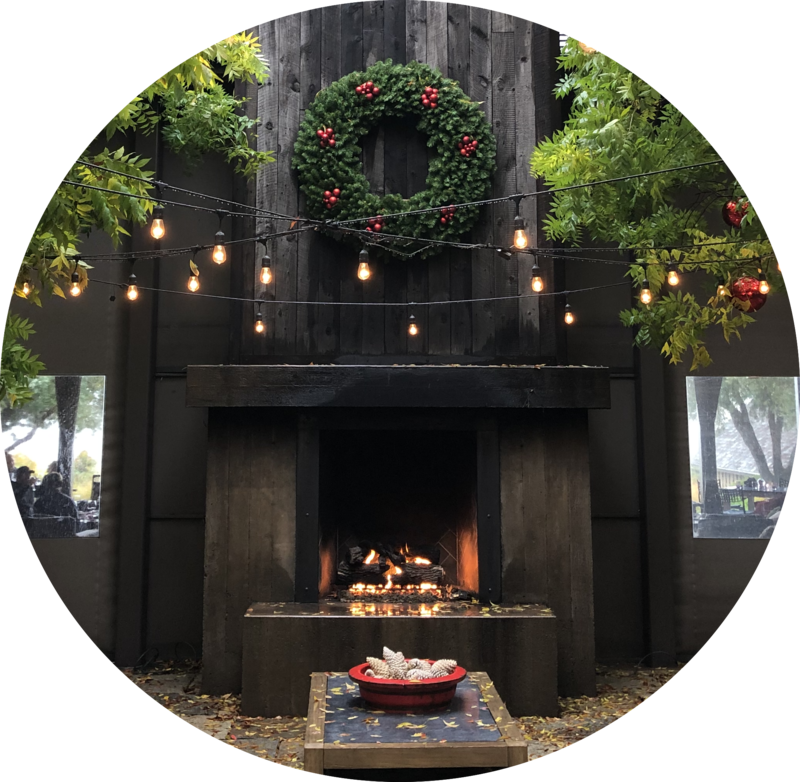 We wish to all our customers and friends a Happy Holiday Season. We are so thankful for your ongoing trust and support. Wondering, which one is the right one for you? NeatSchool works out of the box with iOS 11 on mobile phones and tablets as it does with every major device like Windows, MacOS and Android. In today’s post, I want to share a pattern that a number of our customers use to organize their classes in NeatSchool. It suits best schools where the classes have a certain duration. The duration is usually tied to the academic year but can also be a quarter, a month etc. I will illustrate the pattern with an example. Let’s say you have three classes: 1st grade, 2nd grade and 3rd grade and they are organized by academic year. Then, when you start, create three classes for the current academic year. For our example, let’s assume that the academic year is 2016-2017. Then each class should be named: “1st grade 2016-2017”, “2nd grade 2016-2017”, “3rd grade 2016-2017”. Go ahead and enroll/assign students as shown in the NeatSchool tutorials. This way you can check all the rosters and see how the classes for the next academic year will look like. An additional advantage is that you can now send e-mails that target a specific class in a specific year, for the next academic year, but for past academic years, even years later. Since classes can belong to one or more Departments, you can create a Department that corresponds to the academic year and add all the classes for that academic year to that Department. 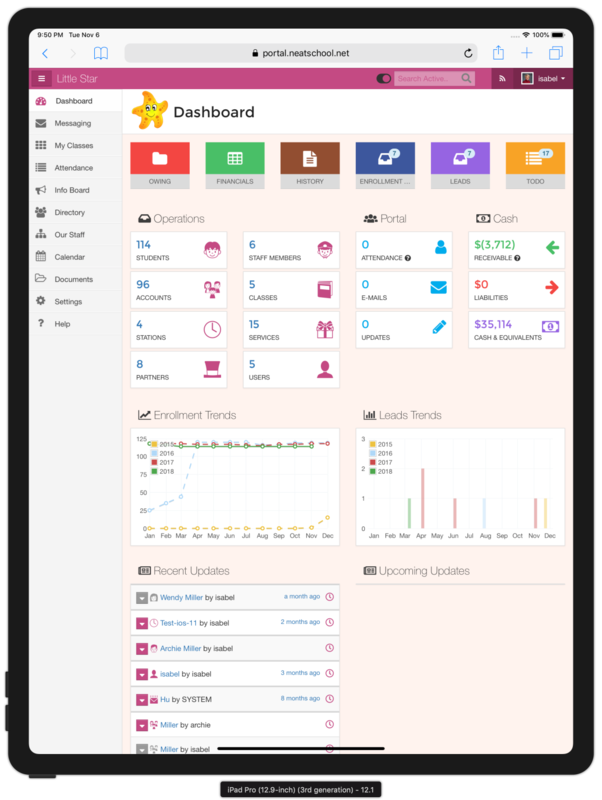 NeatSchool has supported Google Calendar Integration for a long time. Each Program can have a Calendar for the whole program and one for each department. The Calendar appears in the portal and is also shared with parents and staff in the program or Department. This past week we improved our Calendar support in two important ways. We added the ability for each Class to have its own Calendar. Automatically, each parent will see only events relevant to his/her class, department and of course the whole Program. We also made Calendar integration for the admin really easy. Just create the calendars if you do not have them ready, then in NeatSchool select the one from a drop down list and you are done!! Try out our new Calendar Integration and share your experience by posting here or by e-mailing support@neatschool.net. NeatSchool has a great feature around what we call future events. Here is how it works. A parent stops by or e-mails, and you agree on a program change (e.g. class change or tuition change etc). You enter the change in the system along with the date when you want it to take place. That’s it… The system will remember the change and update itself on that date. Optionally you can send a notification to the parents so there are no misunderstandnings. The system maintains a history of program changes by Student along with the date that will be applied so you can always modify them or remove these future changes. 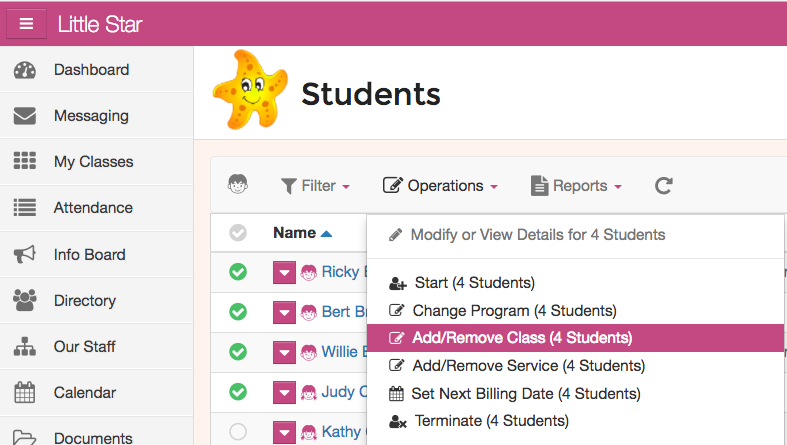 You can also apply such changes changes to multiple students at once which is a big time saver. Starting today when you enter such a program change you have two options. 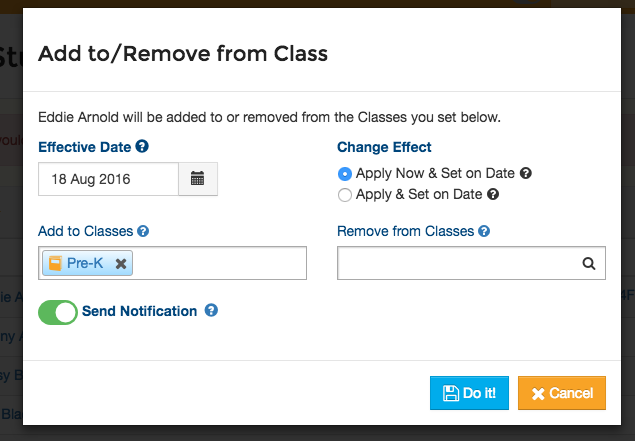 You can instruct the system to add or remove classes or services immediately to the program of the student and on the date to just set the resulting program. For instance, let’s assume you have a student is in Pre-K on Sept. 1, and then you add a future event to add “soccer on Oct., 1”. The system will just remember that the student on Oct. 1 needs to be in Pre-K and Soccer. This is fine but here is what can happen: If on Sep. 15 you also add the Student to the Dance class on Oct 1 the Dance class will be forgotten!! This is why we added the second option that remembers the changes and only applies them to the program as it is on the future Date. So in the example above on Oct 1, the student would end up having all three classes: Pre-K, Soccer & Dance. Look at the ‘Change Effect’ option and the help tooltips there for all the details. When you look a future event in the History it shows you how the change will be applied. If you do not see anything in the “Add/Remove” columns, it means that the program change has been computed, it appears in the After column and this is what will be applied. Conversely, if you see something in the Add/Remove columns, the system remembers the changes and will apply them on the future date.